The reaction came after a Delhi court-imposed restrictions on Michel meeting his lawyers in Enforcement Directorate (ED), as he was found misusing legal access. 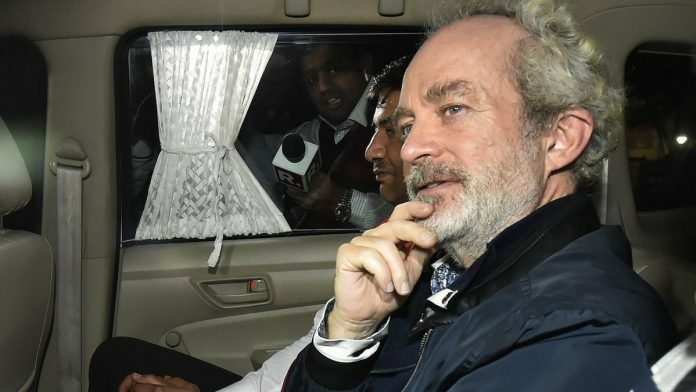 New Delhi: The Congress on Saturday accused the BJP-led government of using its agencies to put pressure on alleged middleman Christian Michel, arrested in the AgustaWestland VVIP chopper case, to name a particular family as elections were near and it had no real issues. The reaction of the opposition party came after a Delhi court, hearing the AgustaWestland VVIP chopper case, on Saturday imposed restrictions on Michel meeting his lawyers in Enforcement Directorate (ED) custody after the agency said he was misusing legal access by passing chits to lawyers, asking them how to tackle questions on “Mrs Gandhi”. Attacking Prime Minister Narendra Modi over the Rafale fighter jets deal, Singh said action should be taken against him as there was “complete proof”. He alleged that the Modi dispensation was “trying to pressure government agencies to name a person”. “But the person who has done the biggest ‘chori’ (theft) cannot be spared,” the Congress leader said, in an apparent reference to the opposition party’s allegation against the prime minister of corruption in the Rafale deal.